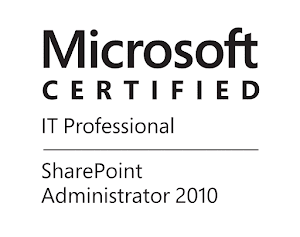 Last week I worked with a customer that is using SharePoint 2010 as part of their enterprise DMS solution. Only a small part of the users are accessing the SharePoint sites directly, but they are accessing and adding documents using 3rd party Outlook integration product and in-house legacy LOB system integrations with SharePoint. If you have dealt with such DMS solutions(which is not uncommon in some industries) you will know that during the exploitation you might end up with a complex folder structures created based on the document metadata. You might also end up with large numbers of empty folders. The empty folders are an issue for my customer and they reached me with a request to write a PowerShell cleanup script that will run on schedule and will delete the empty folders. The catch is that there is an ItemDeleting event receiver that is preventing the deletion of any item including folders. You can see in my dev. machine a similar event receiver in action. It is also stopping the operation when I call Recycle() on item in PowerShell. If you are a developer, most probably you know how to disable the event firing inside an event receiver in order to prevent the firing of other event receivers. This is done by setting the value of property SPItemEventReceiver.EventFiringEnabled. We can do the same thing in powershell with below code and prevent any events from being fired. This code will disable the event firing in the current PowerShell thread and I am able to delete/recycle any item without executing the event handler. I have tested this with SharePoint 2010 and 2013, haven't tested it on SharePoint 2016, but I assume that it will work there too. This is very powerful technique use it carefully on your own responsibility. I hope that this was helpfull!